Earlier this week, we went out on our monthly retail visits, and this month’s trip gave us a peek at some of the seasonal fruits we can expect to see in bigger volumes April and May. The main reason we do these marketing research trips is to discover seasonal shifts and to determine origin and volumes of key produce commodities. This month’s trip indicates that there are some shifts coming to both honeydew and watermelon, from Caribbean imports to Mexico origin. In addition, most retailers are now housing Mexican mangoes, with many having these on promotion. 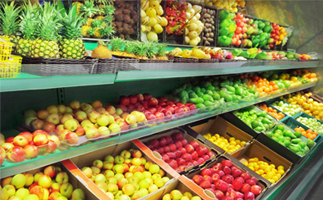 As we look towards April and May, there are 4 key seasonal fruit handling tips that will come in handy for refrigerated truckers. Check them out below. Regularly check produce industry websites to determine which regions are heating up at which times. Doing your own research on seasonality will help you plan for fluctuations more effectively throughout the year. Honeydews become seasonally available in Arizona, California, and Texas from May to October. Watermelons become available in Alabama, Arizona, California, Florida and Georgia in April. Furthermore, mangoes hit their peak availability in May and stay that way till July, so we should see the retailers’ promotional trend continue for at least a couple of months. Finally, strawberries are hitting their stride, with peak availability from May to the end of June. If you’d like a commodity by commodity breakdown of seasonal availability, the Blue Book Services is a great resource. Their Know Your Commodity section has all the data you need to know on commodity specifics, including harvesting schedules and post-harvest instructions. In addition, PRO*ACT’s The Source weekly publication is a great resource for weather, market alerts, transitions & temperatures and key commodity updates. Generally, things start to heat up in southern California, Arizona, Texas and Florida in late April/early May. For honeydews, cooling soon after harvest is recommended, commonly with forced air. Watermelon should be picked at full maturity and protected from the sun to prevent sunburn. Watermelons are often picked from the field and packed into a trailer within a very short time frame. Strawberries are often picked and packed right in the field. Experts note that strawberries should be picked ripe and cooled as soon as possible after harvest to maximize shelf life, and grey mold growth will accelerate when temperatures reach 36°F and above. As for mangoes, temperatures should not exceed 75°F to avoid shriveling and flavor impairment. So, no matter what the commodity, it’s important to note the pulp temperature on pickup. Prior to and during loading and unloading, drivers should make sure to pulp at least every other pallet of the product that is being loaded into their trailer. Then, drivers should write these pulp temperatures on the bill of lading. As per UWT’s loading guidelines, if the product pulp temperature reads higher than the requested temperature on the bill of lading, drivers need to address this variance immediately with the staff at the loading shed, and contact UWT immediately so that we can notify the customer. And remember, if access to the loading/unloading dock and pulping is not permitted, “shipper/receiver load and count” must be written on the BOL. These steps will ensure that drivers are protected and the burden of proof is placed upon the shipper. Additionally, this is even more critical as many products (such as watermelon) sit out in the field right up until shipping. The product’s temperature prior to transit must be reported, and more importantly, need to advise the shipper/customer of this temperature and leave it up to them to authorize moving forward with transit. If we do not do this and the product arrives “hot” upon delivery, we have no recourse to go back to the shipper. Many more delicate spring/summer commodities require special loading directions. For example, honeydews are shipped in 30lb containers, with 4-6 honeydews per carton. The cartons often include partitions to protect the fruit from damage. Furthermore, strawberries are required to be loaded with a Tectrol atmosphere. A Tectrol natural atmosphere is a special wrapping that is sealed around each pallet unit just before loading on refrigerated trucks. Once the berries are sealed in Tectrol, the degradation process is slowed and any molds are inhibited. In addition, most berry loads require air ride equipment, which offers a smoother ride and less potential for damage during transit. 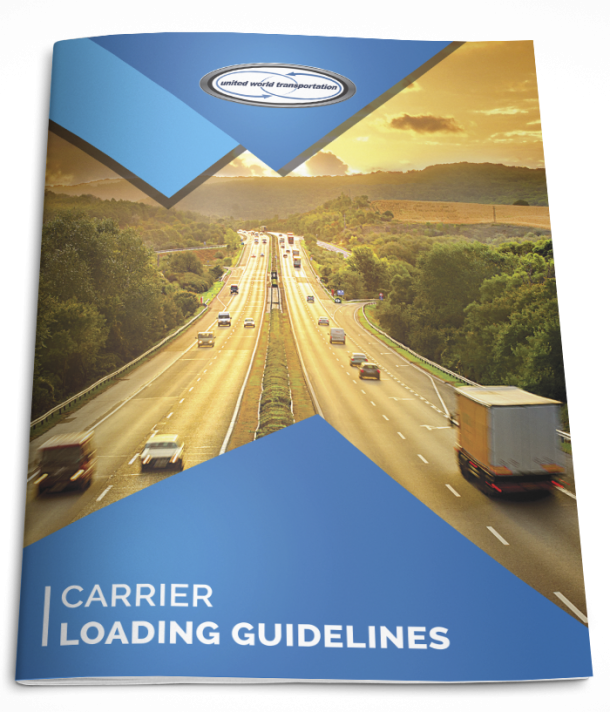 Make sure to always ask your transportation provider if there are any special loading instructions that you need to be aware of prior to allowing the product to be loaded into your truck. Also, the more you can document the loading process (notes on BOL, photos, etc), the better! Bonded loads often have restrictions and may only travel in an approved corridor. Commodities travelling in-bond through the United States are on sealed trailers, where the product is understood to be only travelling through the United States to another country of import (it will not touch down on US soil). Mangoes from Mexico travel in-bond from the Mexican/US Border through the United States, until reaching their final destination in Canada. In addition, there is an approved transit corridor for mangoes from Mexico. The approved area for movement in the United States is bounded on the west and south by a line extending from El Paso, TX to Salt Lake City, UT to Portland, OR and due west from Portland; and on the east by a line extending from Laredo, TX to Galveston, TX to Kinder, LA to Memphis, TN to Louisville KY, and due east from Louisville. The ports of Galveston, Houston, Eagle Pass, El Paso and Laredo, TX are the only ports authorized for entry in Texas. Many times, the transit limitations of a commodity can be confusing. Your transportation provider should be able to provide you with the information necessary, including a map of approved travel, for your peace of mind and time savings. Make sure you are ready for the seasonal shifts that will happen this April and May, and last into the summer months, with even more delicate produce making regular appearances in the world of trucking. Keeping these 4 season fruit handling tips on hand will help!